The Settlement Regularization Law allows Israel to ‘legalize’ settlements built on privately-owned Palestinian land via de facto expropriation. The Israeli Supreme Court on 4 December 2017 issued an order nisi (“order to show cause”) in a petition against the Settlement Regularization Law filed by Adalah – The Legal Center for Arab Minority Rights in Israel, Jerusalem Legal Aid and Human Rights Center (JLAC), and Al Mezan Center for Human Rights (Gaza) on behalf of 17 local Palestinian authorities in the West Bank. According to the Settlements Regularization Law [PDF click for English translation of the law], West Bank settlements built on privately-owned Palestinian land would be “legalized” by de facto expropriating the land, planning the settlements, and retroactively authorizing the housing already constructed on the land. The law could legalize about half of Israel’s settlement outposts, as well as about 3,000 additional homes built illegally in settlements recognized as legal by Israel. Palestinian landowners can receive financial compensation or alternative land, however this law authorizes a further massive land theft of private Palestinian land by the Israeli government. The court will hear the petition with an expanded panel of nine justices on 3 June 2018. “Given the clear and absolute harm caused to the rights of Palestinian landowners in the occupied territories, it was expected that the Supreme Court should have issued an order nisi much more quickly in this petition. 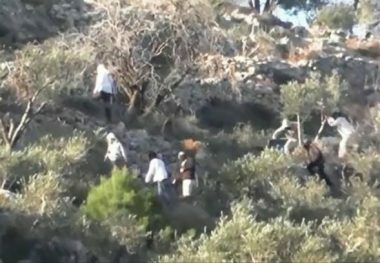 A group of extremist Israeli colonists, illegally living on stolen Palestinian lands in Huwwara and Burin villages, south of the northern West Bank city of Nablus, have cut Saturday more than 110 olive trees, owned by several Palestinians, while Israeli soldiers watched without trying to stop them. The colonists came from the illegal Yitzhar outpost, which was installed on private Palestinian lands in Huwwara and Burin. 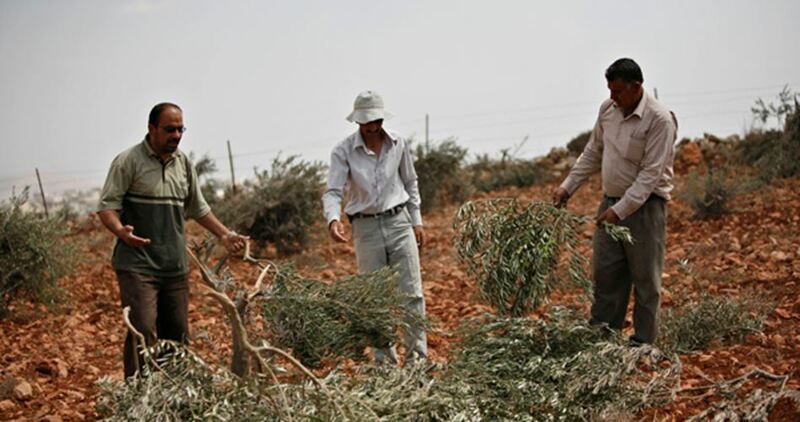 They cut and destroyed more than 110 Palestinian Olive Trees, owned by several Palestinians, before the locals intercepted their attack, and managed to force them out. A video, filmed by a local Palestinian shows the colonists cutting the trees, while Israeli soldiers stood on top of a small hill, watching them without even trying to stop them. There have been numerous previous incidents where the soldiers only intervened to attack the Palestinians, and fire at them, when the rushed to rescue their lands, their main and in most cases, their only source of livelihood, and clashed with the invading illegal colonists. Israeli Occupation Forces (IOF) on Friday evening raided Wadi al-Bathan town to the north of Nablus city. IOF soldiers stormed a supermarket near the old mosque in the town and confiscated its security cameras. IOF troops had previously seized the cameras of several commercial shops and neighbors in the same town in order to access information on the Palestinian youths who carried out the anti-occupation shooting attack that killed an Israeli settler near Serrah town last Tuesday. Israeli soldiers invaded, on Friday at dawn, ‘Allar town, north of the northern West Bank city of Tulkarem, searched and ransacked homes, and abducted five Palestinians from the same family, in addition to illegally confiscating cash and assaulting many residents. Moayyad Taqatqa, a father of one of the abducted Palestinians, said dozens of soldiers stormed and violently searched his home, causing property damage, before abducting his child, Yazan, 17, and illegally confiscated 17.400 Shekels, 750 Jordanian Dinars and 600 US Dollars. Moayyad added that the soldiers also stormed and ransacked the surrounding homes of his brothers, and assaulted his nephew, a former political prisoner, identified as Arafat Nizar Taqatqa, causing a fracture in one of his arms, before he was rushed to Thabet Thabet Hospital, in nearby Tulkarem, city. The soldiers also smashed the windows of his car, and stole spare parts, before abducting his brother, Eyad Taqatqa, 40, his son Mohammad Eyad Taqatqa, 20, in addition to Nihad Ma’rouf Taqatqa, 52, and Ma’rouf Nizar Taqatqa, 36. The Israeli occupation authorities on Thursday seized large tracts of Palestinian lands in Nablus’s southern town of Burin, in the northern West Bank. Speaking with PIC, director of Burin Secondary School Ibrahim Omran said an Israeli liaison officer and the army’s deputy commander showed up in the area and updated him on the confiscation order. The Israeli officers also said that the targeted area, covering over 20 dunums of the 55-dunum school, will be engulfed with birded wire. The confiscation was issued allegedly to protect the school from the simmering assaults by Israeli settlers. He added that the fence to be set up around the land will prevent the locals from cultivating it and using it for future projects. 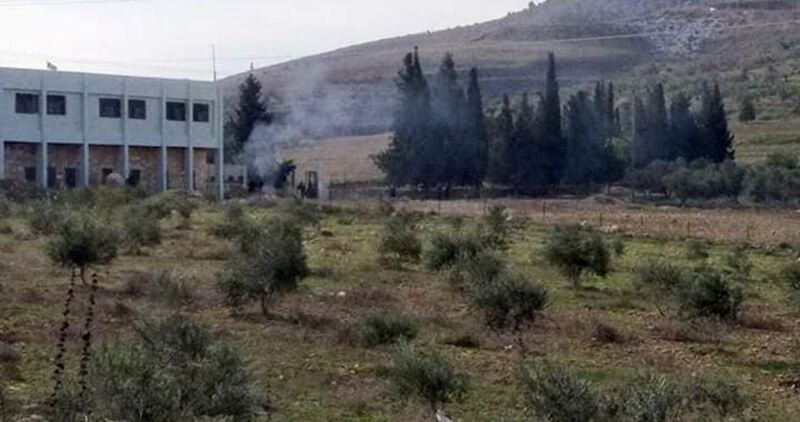 Although an Israeli military watchtower is just dozens of meters away from the area, Burin school, located near the bypass road leading to Yitzhar settlement, has increasingly been targeted by Israeli settlers. Israeli settlers on Wednesday afternoon razed Palestinian agricultural lands in Madama village to the south of Nablus city. Anti-settlement activist in the northern West Bank, Ghassan Daghlas, said that a group of settlers, escorted by an Israeli military force, stormed the area and started to bulldoze privately-owned lands. Daghlas added that the villages and towns of Nablus have witnessed several incidents of settler violence after an Israeli settler was killed in a shooting attack on Tuesday evening near Nablus. In a related context, the Israeli occupation forces sealed off the road where the anti-occupation attack was carried out and blocked the Palestinian citizens' movement. 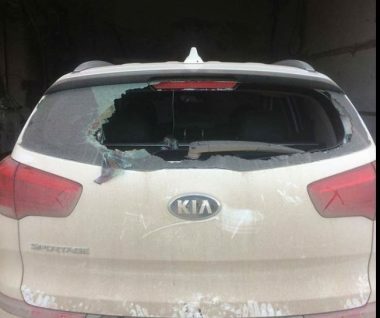 Early Wednesday, several Israeli colonizers living in illegal colonies and outposts in the northern West Bank governorate of Nablus, attacked many Palestinian cars, causing damage and wounding two Palestinians. In Hebron, Israeli soldiers abducted two Palestinians and confiscated gold and cash. Medical sources said one Palestinian, identified as Ayman Farouq Obeidat, was injured when the colonizers hurled stones at his car, in Huwwara town. They added that another Palestinian, identified as Aziz Bassam Dweikat, was also injured after the Israeli assailants hurled stones at his car, at a junction west of Nablus. Israeli soldiers, who had been heavily deployed at and near these junctions following the death of an Israeli colonizer in the area on Tuesday night, did not attempt to stop the Israeli attackers. This forced hundreds of Palestinian cars to take longer, and largely unpaved roads, leading to Awarta then Beit town, to avoid the colonizers. The closure caused huge traffic jams in the area, and many workers and students were unable to leave their communities. The soldiers also isolated many Palestinian villages and towns in Nablus governorate, and initiated massive invasions and search campaigns, to locate the shooter or shooters, who killed an Israeli colonizer, on Tuesday evening, near Havat Gilad illegal colony, which was built on lands owned by Palestinians from Jeet village. In Hebron, in the southern part of the West Bank, the soldiers invaded and searched homes in the ath-Thaheriyya town, south of the city, and abducted Shehda Suleiman Jabarin, 40. The soldiers also invaded Hebron city, searched homes and illegally confiscated gold and cash from the home of Jassem Khairi Abu Rajab, after breaking into his property and violently searching it. The Israeli authorities on Tuesday demolished a Palestinian residential facility in Ramla city in the central 1948 occupied Palestine for allegedly being unlicensed. 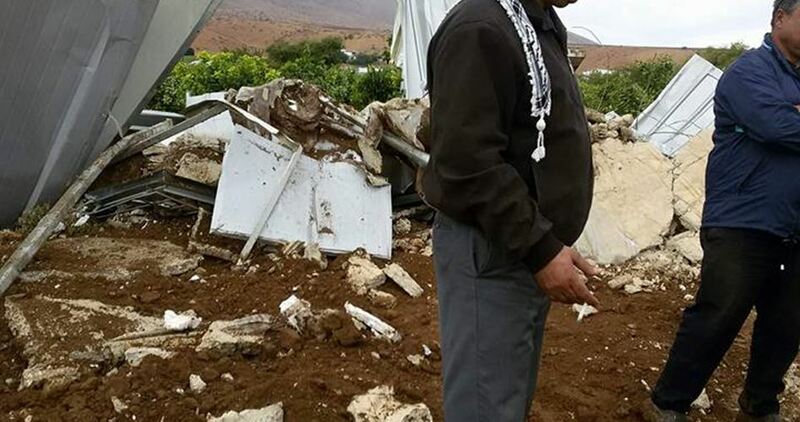 Local sources reported that Israeli bulldozers knocked down a house owned by the Palestinian citizen Ayman Abu Rayyash and his seven-member family in al-Ribat neighborhood and uprooted a number of olive trees near the house. Ayman Abu Rayyash said that Israeli municipality bulldozers, escorted by a large police force, stormed the neighborhood without prior warning and imposed a cordon around the area before the demolition. Rayyash told Quds Press, "They demolished the house without allowing us to get the furniture out," adding that that they were left in the open without shelter. The Ramla popular committee called for an urgent meeting to discuss ways of confronting the Israeli municipality's racist policies and start the reconstruction of the demolished house. The Israeli authorities have recently stepped up their demolition operations in the 1948 occupied Palestinian territories in a thinly veiled attempt to settle the Palestinians living there in small, isolated communities. Nearly 1,800,000 Palestinians currently live in the 1948 occupied Palestine and they are the descendants of 160,000 Palestinians who managed to stay in their lands following the establishment of Israel in 1948. Palestinians represent 20% of the population of the Hebrew state and they are subjected to constant discrimination especially in the fields of housing and employment. The Israeli navy forces on Tuesday morning arrested six Palestinian fishermen and confiscated two boats off Gaza shores. Local sources reported that the Israeli navy opened fire at Palestinian fishing boats off al-Sudaniyya shore in northern Gaza, arrested six Palestinians, including two children, and forced them to strip off their clothes and get into the sea. The Israeli forces also seized two boats and transferred them, along with the six detainees, to Ashdod port. Head of the fishermen committee at the Union of Agricultural Work Committees, Zakaria Baker, told the PIC that the Israeli navy forces deliberately harass Gazan fishermen on a daily basis by shooting at them, arresting them, confiscating their boats or damaging their fishing nets. 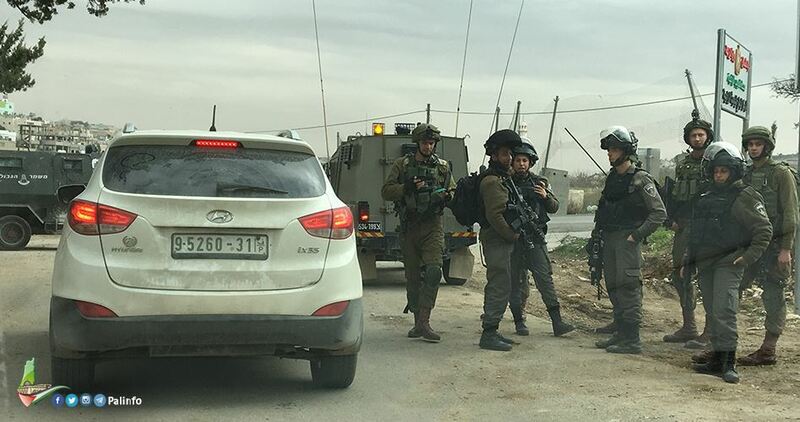 The Israeli occupation forces (IOF) last night and at dawn Tuesday kidnapped 17 Palestinian citizens and confiscated several cars during campaigns in different West Bank areas. Local sources told the Palestinian Information Center (PIC) that Israeli troops stormed at dawn al-Arroub and al-Fawwar refugee camps in al-Khalil city and kidnapped five Palestinian young men, including two brothers. The two brothers were identified as Yousef and Nasim Attiti. The former recently received medical assistance after he suffered a bullet injury during skirmishes with Israeli soldiers in al-Arroub refugee camp. Two others identified as Ayman Qassas and Ali Asi were also taken prisoners during the same IOF campaign in al-Arroub camp. In al-Fawwar camp, local sources said that Israeli soldiers rounded up a young man at the main entrance to the camp at the pretext that he threw a Molotov cocktail at settlers’ cars. Meanwhile, the IOF stormed different towns in al-Khalil and confiscated cars belonging to Palestinian citizens, without providing a reason for such measure. 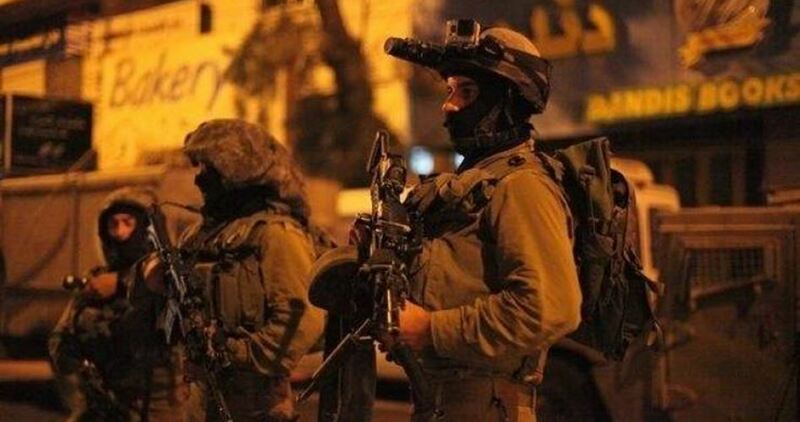 In Nablus, the IOF kidnapped two young men from the towns of Qusra and Urif. Local sources said that soldiers raided several stores in Qusra town, kidnapped a young farmer called Qusay Abu Raida and confiscated his tractor. In Urif town, an Israeli military force broke into the house of Mohamed Shahada and kidnapped his son Anas. 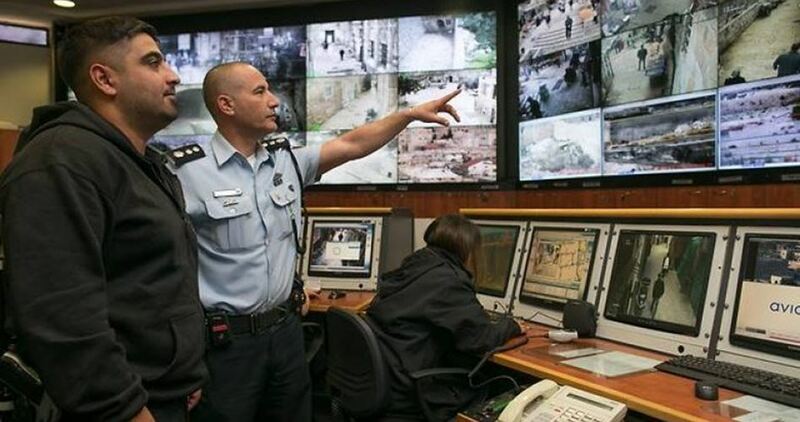 In Salfit, the IOF confiscated security camera recordings from a gas station in the city and kidnapped two young men from their homes in Deir Istiya town to the north. The IOF also stormed Tulkarem city and kidnapped a Palestinian citizen called Luay Shadid. 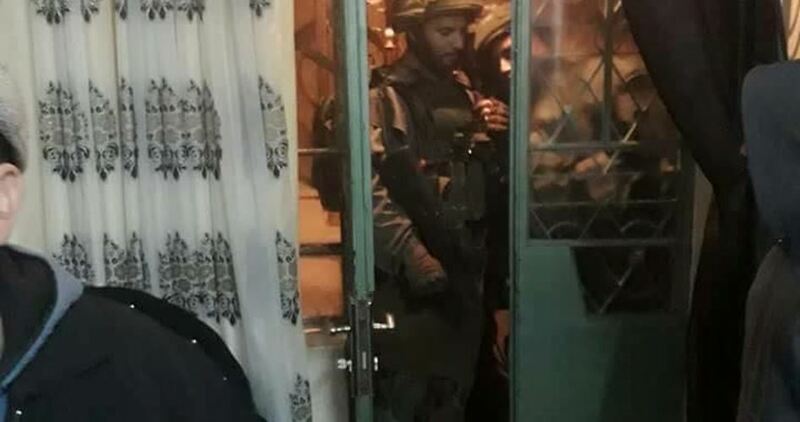 Seven Palestinian young men were also taken prisoners during IOF raids on homes in other areas of the West Bank, including Ya’bad town in Jenin. On Monday, 08 January 2018, Israeli gunboats chased and opened fire at Palestinian fishing boats. Israeli naval forces then arrested 2 fishermen and confiscated a fishing boat manned by them. 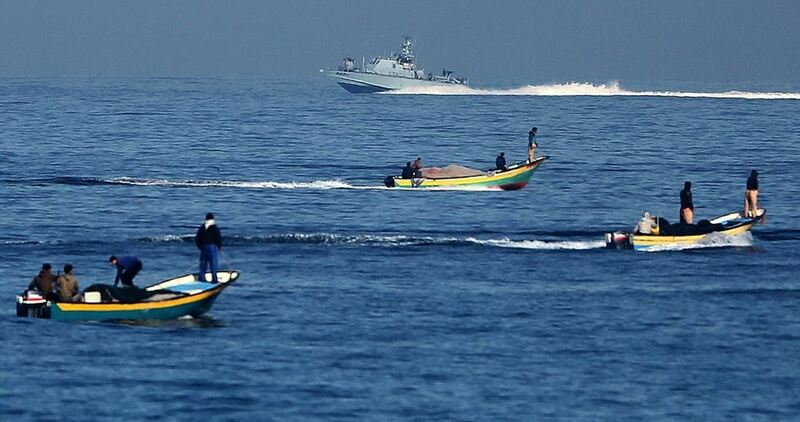 The Palestinian Center for Human Rights (PCHR) monitored the escalation of Israeli attacks against fishermen in the Gaza Sea, in addition to the continuous shooting and shelling against them since 06:00 on Monday morning, despite sailing within the allowed fishing areas. According to PCHR’s investigations, at approximately 12:00 on Monday, 08 January 2018, Israeli gunboats stationed off al-Waha Resort shore, northwest of Beit Lahia in the northern Gaza strip, opened fire at Palestinian fishing boats sailing within 3 nautical miles. The Israeli gunboats then surrounded a fishing boat belonging to Mohamed Omar al-Najjar. The fishing boat was manned by Jehad Suhail Murad (25) and Mostafa Mohamed Murad (18), both of them are from al-Shati’ refugee camp in Gaza City. The Israeli naval soldiers then forced them to take off their clothes, jumped into the water and swim towards the Israeli gunboat. 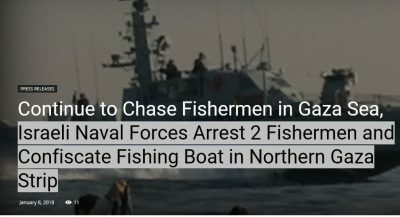 The fishermen were then arrested while the boat was confiscated. Calls upon the international community, including the High Contracting Parties to the 1949 Fourth Geneva Convention, to intervene to stop all Israeli violations against fishermen and allow them to fish freely in the Gaza Sea. 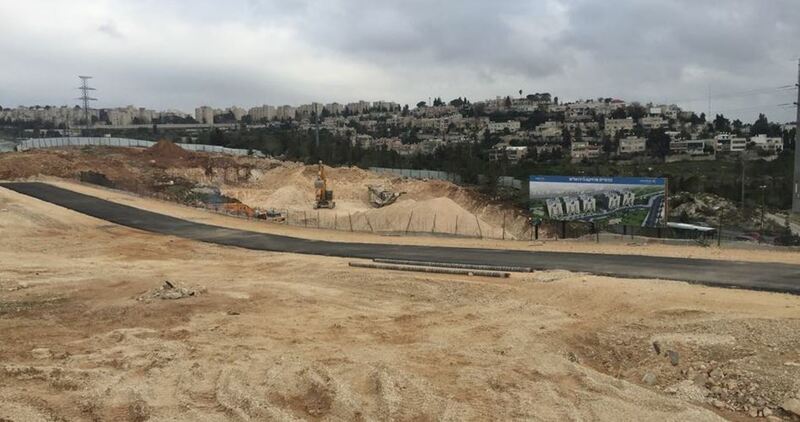 Israeli municipality in Occupied Jerusalem demolished the wall of the Yusufiya cemetery, which is adjacent to external gate of Bab al-Asbat in the holy city amid excavation works in the area. 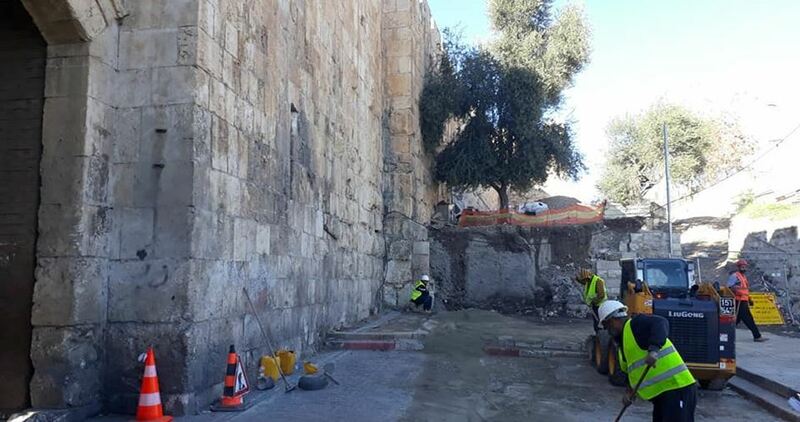 Amr Radwan, Head of the Heritage and Manuscripts Department at al-Aqsa, said over Facebook that Israeli authorities have been conducting deep excavations, using bulldozers, exactly before Bab al-Asbat area, for a few days. He pointed out that the ongoing excavations have reached historic courses in the same area. Israeli authorities also removed the cemetery historic stairs a few weeks ago and banned Palestinians from passing through Bab al-Asbat gate to the north, he added. Israeli settlers on Monday evening uprooted dozens of olive trees on Palestinian lands in Deir al-Hatab, east of Nablus province. According to Mohamed Omran, a native of Deir al-Hatab, Israeli settlers residing in Elon Moreh illegal outpost pulled up 50 trees in Palestinian olive groves. The move was carried out just one hour after Israeli settlers were forced out of a makeshift house set up on Palestinian land in the area. At least 423 Israeli settlement outposts engulf Palestinian towns and communities in the occupied West Bank and Jerusalem, making up 46% of Palestinian lands. 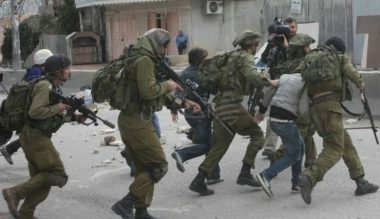 The Israeli occupation forces (IOF) at daybreak Sunday arrested a number of Palestinians and summoned others to questioning. Israeli army troops rolled into al-Arroub refugee camp, north of al-Khalil province, and kidnapped 22-year-old Palestinian youth Safi al-Titi from his family home. 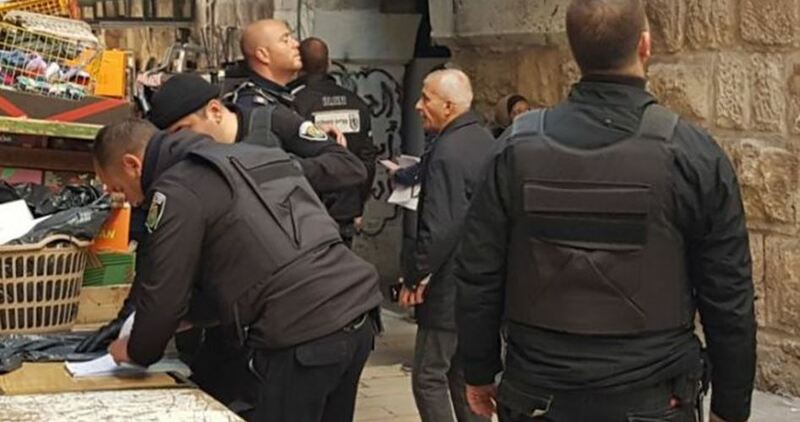 The occupation forces also ransacked the home of the slain Palestinian protester Khaled Jawabra, in al-Arroub camp, and seized cash from the home of prisoner Nidhal Shahada. At the same time, the IOF stormed Ramallah’s eastern town of Silwad, in the central West Bank, and ordered three Palestinians, including two ex-prisoners, to turn themselves in to questioning. Clashes burst out between Israeli troops and Palestinian anti-occupation youth in Silwad shortly afterwards.